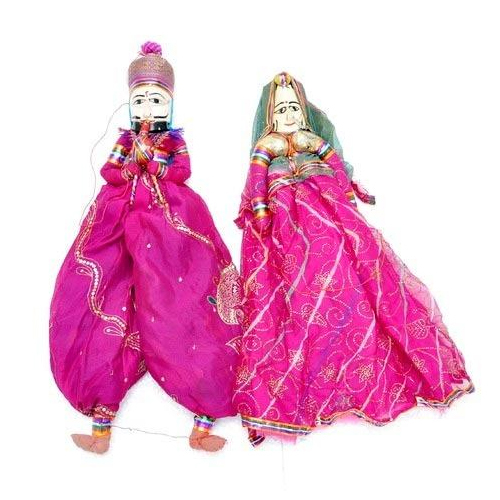 Details:Rajasthani Puppets (Katputli) is a well know tradition entertainer show which is done using puppets and moving them with the help of threads attached to them. 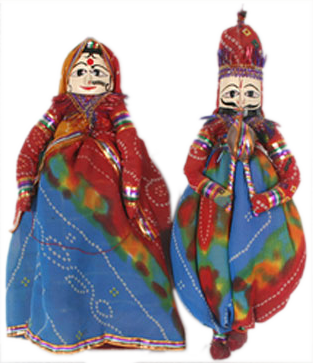 These beautiful puppets are made from gotta work cloths and cotton fillings. 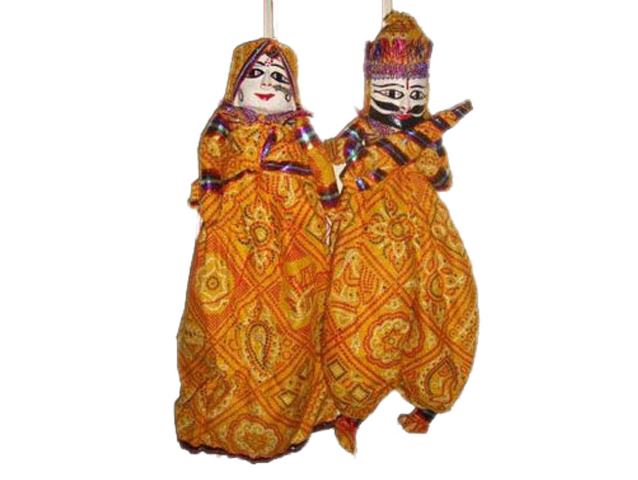 The faces are shaped out of wood and male symbolises traditional snake charmers. 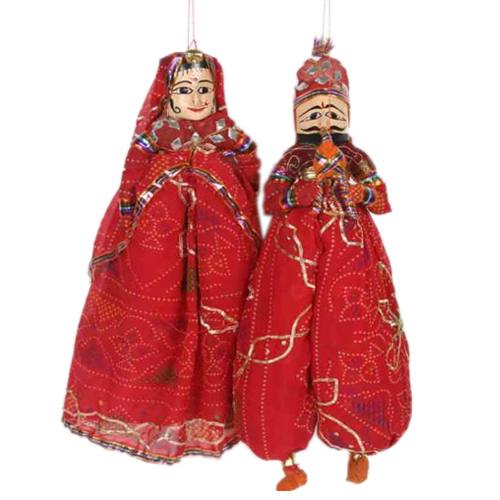 A unique traditional product to place in your room and most useful for home decor. 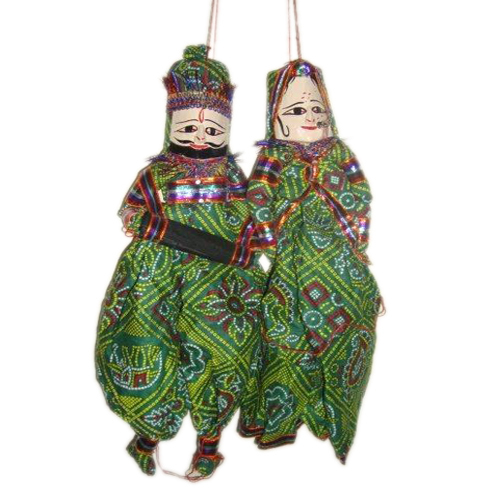 These puppets comes in a pair of male and female only.